Russell George Manning was a southern California native - born in Van Nuys and raised in Orcutt, a small town near Santa Maria. His father, George Manning, was a Canadian citizen who had migrated to California where he worked at a multitude of jobs during his short life. George died when Russ was 13, leaving wife Opal and their three children: Russ, his brother, Lee and sister, Pat. 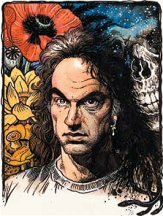 Russ started drawing at an early age and his early influences were the Tarzan novels with their St. John art and the Tarzan strips of Foster and Hogarth. Actually his first exposure to Tarzan was through the Big Little Book, The Beasts of Tarzan. Soon he had read all the Tarzan novels in the county library, discovered Hogarth's Tarzan in the Sunday LA Times, and had sat through Tarzan of the movies. These early influences led him to science fiction and he became a voracious reader and sketcher, to the extent that he earned the nickname "Moon Boy" in high school. Russ's first art "sale" came out of a high school contest in which he won $100 for designing a "bus of the future." 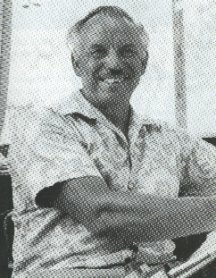 After graduating from Santa Maria High School in 1946, he entered Santa Monica Junior College where he studied art and literature for a year. He then enrolled in Los Angeles County Art Institute. It was at this time that he began his art career as a fanzine artist and worked part time with a film company. In the fall of 1947 he joined a fan organization known as N3F - National Fantasy Fan Federation. One of the fellow fans he corresponded with at this time was Vern Coriell who had recently published his first issue of the Burroughs Bulletin in July, 1947. His art appeared in a multitude of fanzines and he even went on to publish his own fanzine. 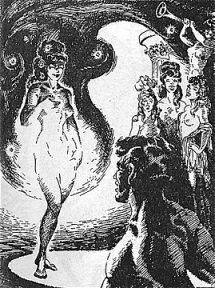 In May, 1948, Russ and female fantasy artist friend, Jerri Bullock, produced the first issue of a new fanzine, Fan Artisan. In a self-portrait bio he listed Henry Kuttner, C.L. Moore, and Ray Bradbury among his favourite authors. 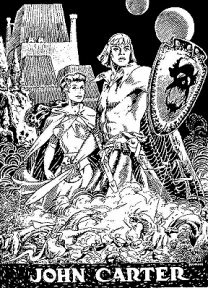 His favourite artists included Lawrence Sternne Stevens, Edd Cartier, and Robert Gibson Jones of Amazing Stories and Fantasy Adventure magazines. The fanzine had no cover art but Russ contributed eight interior illustrations. 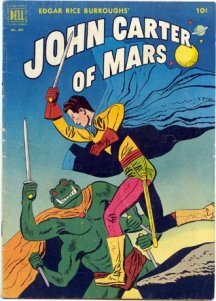 In 1950 he drew some sample pages for a John Carter of Mars comic for a proposed Dell comic, but his National Guard unit was activated because of the Korean War and Russ was shipped to Japan before he could submit them. While overseas with the U.S. armed forces he was assigned work as a map-maker and base newspaper cartoonist. 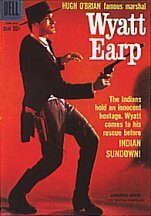 By the time he was discharged in 1952, the John Carter project had been assigned to his friend Jesse Marsh who had been working on the Dell Tarzan comics. 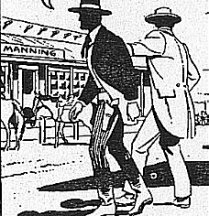 In 1952, Marsh helped get him a job with the Los Angeles office of Western Publishing (Dell, later Gold Key Comics). Actually before this he had been turned down three times in six months by Dell's West coast art director, Tom McKimson. 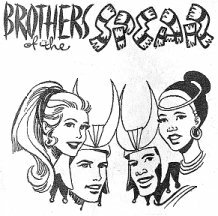 Manning's first published work was Brothers of the Spear series in Tarzan #39 (December 1952), beginning a long run through #156 (Feb. 1966) as a supplement to Marsh's work on Tarzan. 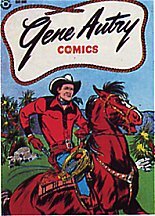 Manning's first two Tarzan stories appeared in Western's give-away "March of Comics" #114 (1954) and #144 (1956). 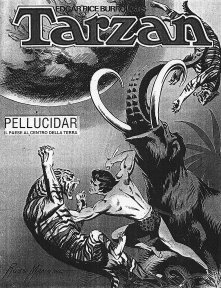 Curiously, "Tarzan and the Horns of Kudu" which appeared in the #114 issue had been drawn two years earlier as for a Tarzan 3-D comic that had been shelved. Despite the career successes, one major disappointment was missing out on a chance to work as an assistant to his idol, Hal Foster. He got around the Dell policy of not allowing artists to sign their work by scattering his name and those of family members all through his work on buildings, signs, text, etc. Even Vern Coriell's name appeared numerous times in this fashion. Many fans make a game out of searching out these "hidden" names. However, Russ Manning's personality, unique art style, writing abilities, prolific output, and the development of modern comic fandom eventually garnered him the recognition he deserved. 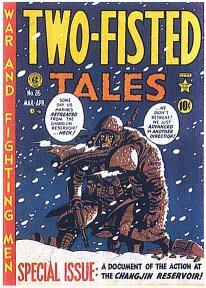 He once commented that the only story teller he considered better than himself was Hal Foster. Russ and his artist wife Doris (nicknamed Doe or Dodie) were married in 1959 and spent their lives together in their home in Modjeska Canyon, Orange County. Their first child, Melissa, was born in 1961 and son Roger, in 1966. By all reports, Russ was an excellent husband and father spending much of his time at home since he did his work in a home studio building just a few feet away from the main house. His free time interests involved making home movies, gardening, reading and involvement in civic affairs, including his role as a volunteer with the Modjeska Canyon Fire Department. He took his work very seriously and was extremely proud of his creations. The main tools of his craft included drawing boards, pencils, India inks, brushes, white correcting ink, and coloured pencils for the Sunday colour strip. Although he often had assistants who worked as inkers he always personally inked the Tarzan figures and heads. He had an enormous respect for the history and tradition of comics and was a great fan of the greats such as Foster, Hogarth and Kurtzman. 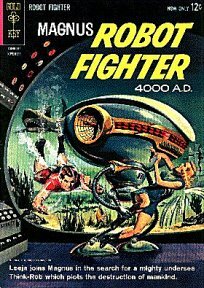 In 1963 he finally had a chance to display his abilities in the science fiction genre when he created the very popular Magnus, Robot Fighter 4000 A.D., a worthy successor to the Alex Raymond school of realistic science fiction art. When Magnus #1 (February1963) appeared, most comic book fans had never seen the remarkably imaginative fine-line work of Alex Raymond, who died in 1956 and last worked on Flash Gordon in 1944. 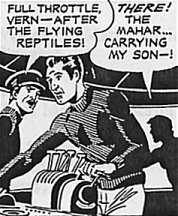 Nor had the fans seen the crisp work of Mac Raboy, who labored on Captain Marvel Junior and Flash Gordon in the 1940s. For fans of realistic fantasy art, Manning became perhaps as beloved in his day as Raymond and Raboy were in theirs. 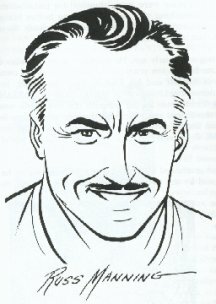 Manning drew the first 21 issues of Magnus (often with the help of Mike Royer) and also wrote several issues, true to his love of doing a complete work. Manning called Magnus his "Tarzan of the future." 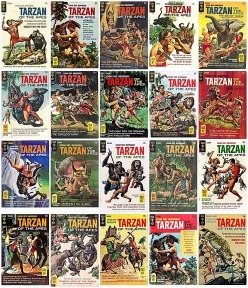 Manning took over the Tarzan comic from the ailing Jesse Marsh in 1965 and used the opportunity to create faithful graphic adaptations of the first ten Burroughs Tarzan novels (assisted by writer Gaylord DuBois). 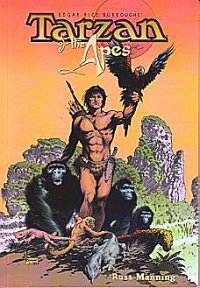 Dark Horse has reprinted the first seven novels from this Gold Key series in three volumes of graphic novels: Tarzan of the Apes, Tarzan and Jewels of Opar, and Tarzan the Untamed. In 1967 he was chosen by Robert Hodes of ERB, Inc. to do the daily and SundayTarzan strips for United Feature Syndicate. The strips had drifted far from the Burroughs vision and Russ was committed to bring the strip much closer to the style of the original Tarzan novels. Each week he wrote and illustrated -- with the assistance of artist Bill Stout -- the large colour Sunday page and six daily strips. His illustration and writing abilities brought a quality and accuracy to the strip that had not been seen since the days of Foster and Hogarth in the '30s and '40s. 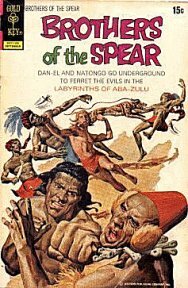 Throughout its run Manning wrote 26 original Sunday stories and seven daily stories which transported readers to Pal-ul-don, Opar and Pellucidar. The inspiration for this gorgeous strip, which he wrote, drew and coloured, was the Tarzan that Burroughs had defined in the first dozen Tarzan novels. Meeting a daily newspaper deadline for so many years was a monumental task. The large colourful Sunday strip was particularly demanding as it had to be presented in three different formats: half-page, one third-page with fewer panels, and tabloid size. 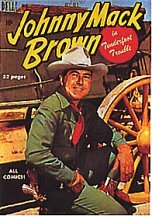 Manning was a voracious reader and he drew upon a wide range of adventure and science fiction stories for ideas for his Tarzan stories, which ran in length from one strip to as long as six months. He used all the well-known characters from the Burroughs novels but went on to created many new original characters - the most popular probably being Joiper the tough, irrascible little ant man warrior. Although his work was praised by everyone who had an interest in adventure strips, the Tarzan feature eventually died because of serious behind-the-scenes business wranglings. 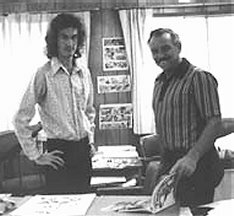 In 1972, Russ Manning left the Tarzan daily strip to concentrate on other projects which included the writing and illustrating of ERB, Inc's own Tarzan comics for the European market. 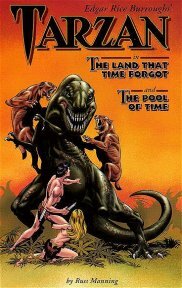 Two of these stories have been collated by Dark Horse and published as "Tarzan in the Land that Time Forgot" (winner of the 1999 Eisner Award) with "The Pool of Time." 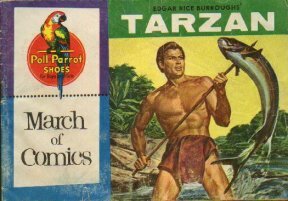 Other stories, such as "Tarzan and the Beastmaster" and "Tarzan in Savage Pellucidar," so far have seen publication only in Europe where they appeared in a unique 46-page album format. In 1968 Manning, in a joint venture with Frank Frazetta, illustrated the promotional posters for the Italian-made film, Luana, starring Mei Chen as a Tarzan-like jungle girl. He also produced a series of daily Luana strips in connection with the movie. Around this time he worked on advertising art for numerous other B-list movies produced by overseas film companies. A few years before his death, Manning was commissioned by George Lucas to write and draw the Star Wars comic strip from 1979-1980. His talents were stretched to the limit during much of this period as he also was still doing the Tarzan Sunday pages until Gil Kane was signed on to take over. This then made it possible for Russ to devote all his time to the Star Wars projects, which included the Dark Horse Comics adaptations. This artwork was recently colored, reformatted, and retouched by Rick Hoberg, who worked with Manning on the original newspaper strips. It was then released by Dark Horse as Classic Star Wars: The Early Adventures. Russ's work on Star Wars was brought to a disappointing halt when he was diagnosed with cancer and was forced to turn the project over to Al Williamson. He spent his final year battling the disease and experimenting with a variety of leisurely paced art pursuits for his own enjoyment and relaxation. Russ Manning died at the Long beach Veteran's Hospital on December 1, 1981. He was 52. Many modern Tarzan enthusiasts rank Manning with Burne Hogarth and Hal Foster in the pantheon of great Tarzan artists. In addition to this, his comic book and newspaper scripts were some of the finest in the field. He left a wonderful body of work that many fans, new and old, are constantly rediscovering and coming to appreciate. 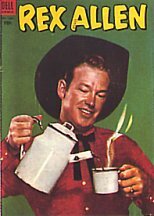 Unfortunately very little of his original art remains from the Dell Comics period of work as Western Publishing's policy was to destroy all their artists original work. Luckily, much of the original art from the Tarzan newspaper strips is still stored in the ERB, Inc. files. Perhaps someday Russ Manning's work will be available at art auctions for collectors and fans of the artist and the characters that he presented so well. Russ Manning was the recipient of many awards during his lifetime and posthumous accolates are still being bestowed upon him. 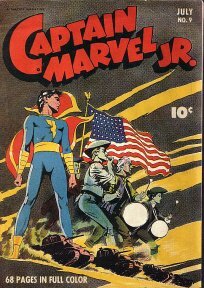 The Atlas Comics Web site have included him among the top 100 comic book artists of all time. The San Diego Comic Con presents the highly coveted "Russ Manning Award" to the most outstanding new artist each year.